When it comes to playing interior designer, one of the most important and powerful tools that we have at our disposal is colour. Yes, colours most definitely affect not only how a room looks, but also how we feel while inside that particular room. For example, if you feel relaxed, motivated, creative, energetic or a range of other emotions, it could very well be because of the colour of the paint that’s splashed on the walls. But sometimes a burst of bright colour is exactly what you need to enliven a room and make it feel more energetic, especially one that gets as much attention as the living room. Thus, on with today’s piece, where we inspire you with 10 very different colours to help you space up (and style up) a rather small living room. The deep, ocean blue splashed on these walls definitely creates an elegant, nautical-style vibe (is it just us, or can you hear the soft sound of seagulls?). 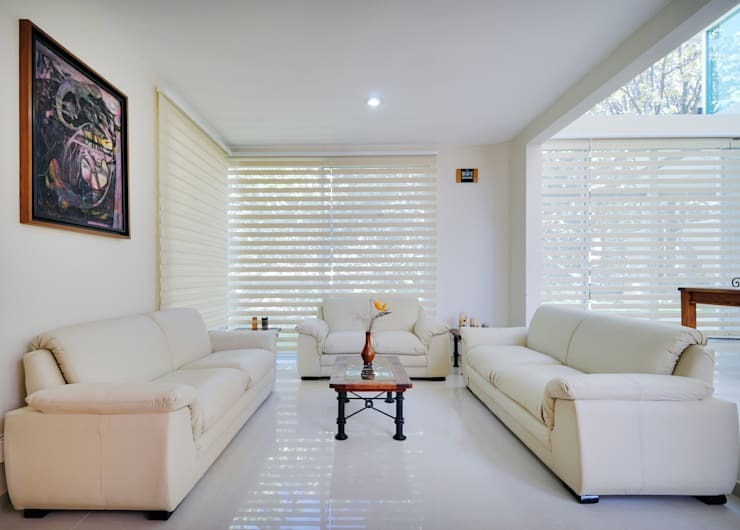 But because this living room’s ceilings are rather low, white becomes a crucial colour to keep the balance, which is why it has been used in various furniture and décor pieces. And we just love how the lemony yellow cushion covers, cups and gold trim brighten the space and add a refreshing contrast. 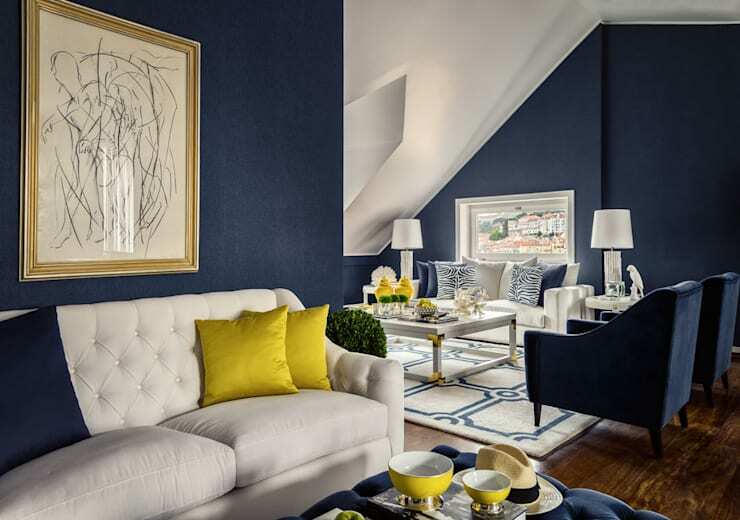 Still on the cool side of the colour wheel, these two tones go a long way in making a room feel bright and youthful. When paired with white, teal and turquoise become happy, cheerful, and quite serene. But be careful not to overuse them, as they can easily overwhelm a small space and make it feel too cold. homify hint: Combine these cool hues with light-coloured wood, yellow tones and cream colours for a more uplifting ambience. Want your walls to grab attention? 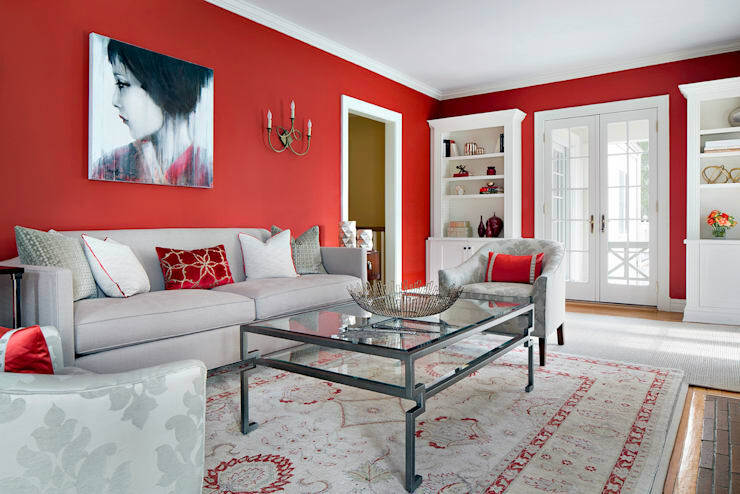 You won’t be sorry if you opt for a bright splash of candy red. This energetic living room above flaunts the perfect mixture between ‘loud’ and ‘quiet’. How so? 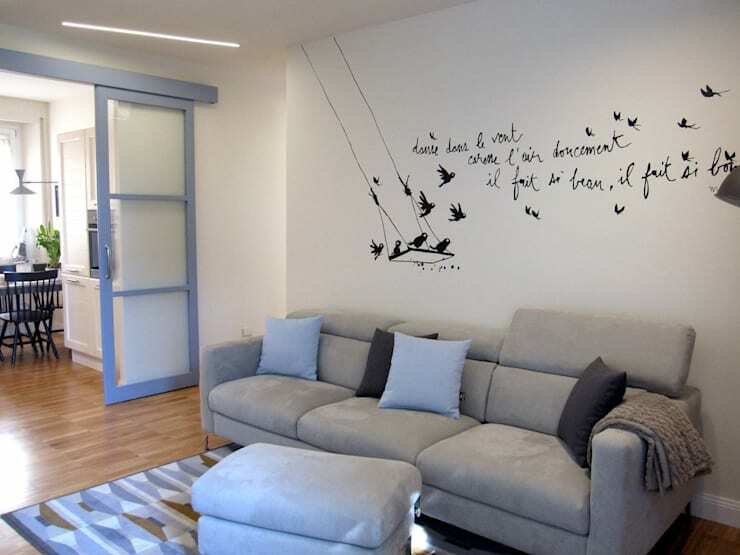 Because the pale grey hues of the sofas and carpet bring down the intensity of the walls. And notice how the red subtly seeps into the cushions and carpet patterns. For a room that needs a more minimal and subdued look, go with greys. But to avoid a sombre and sad look, stick with varying shades to keep it light and joyful. And remember that pale grey always works fantastically well with stone feature walls and natural-coloured tiling. homify hint: Pair these grey hues with white or wooden furniture and warm lighting, and watch how your small room becomes most light and elegant. No need to splash this peaceful colour on all your walls; rather let it make a cameo appearance in the door frames and on select décor- and furniture pieces. 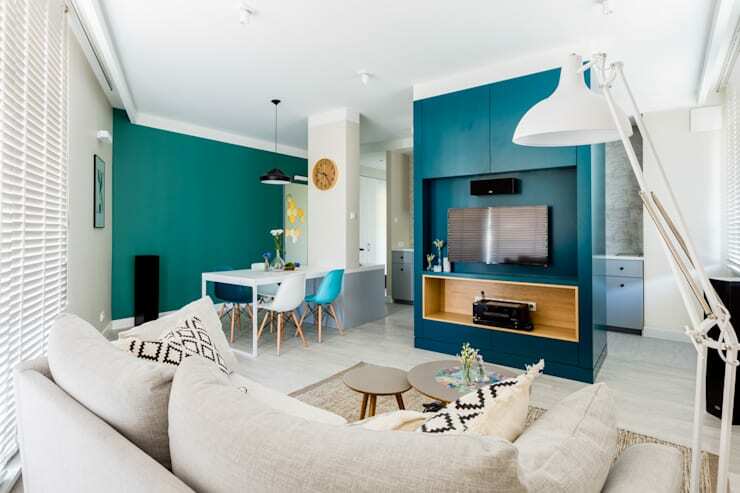 When pairing up powder blue with white and charcoal, your living room becomes most refreshing and serene, for it will flaunt a colour match made in heaven. Neutral hues are a safe option for a space where you tend to spend a lot of time. They won’t overwhelm or control a room, plus they form a background palette on which you can add many different bright tones. 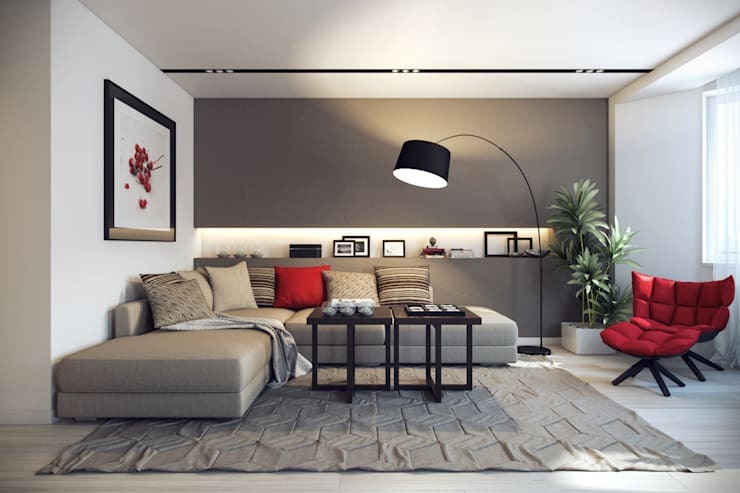 This example shows us how different neutral shades make a room feel graceful and, when paired with hot red tones, can stop a space from being too muted. 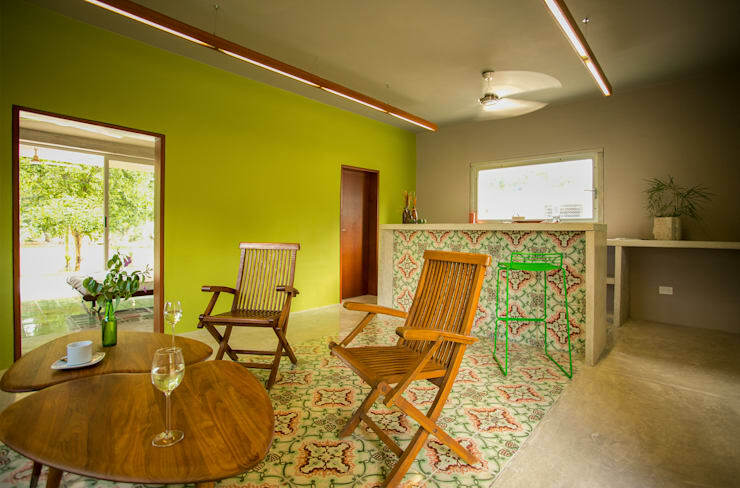 It is pure visual magic to see how a colour comes to life when combined with certain materials – and chartreuse green pairing up with wooden furniture becomes positively bubbly. We love this lime green hue which is such a perfect option for a feature wall, as it flaunts a look that is cheery and energetic. 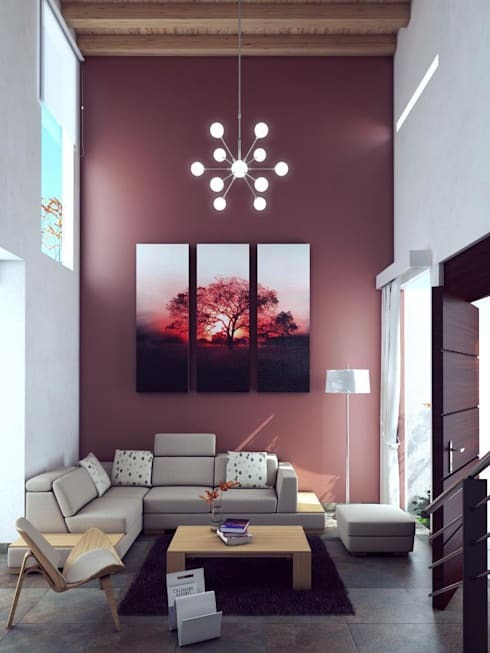 homify hint: Bring in some contrast for a visual delight, as this living room above has done with decorative tiling that include spots of hot reds and oranges. The number one rule for visually enlarging a small room is to use whites or light tones. It's easy to see why white and the various off-white hues are such popular choices: this all-white living room leaves us dazzled. It's serene, sophisticated and oh-so stylish. Burgundy, red wine, merlot… whichever name you prefer, this bold colour choice always leaves a room feeling sophisticated. However, a tone with such a big personality is best splashed on just one focal wall. We recommend balancing out that deep shade with some light-coloured furniture. Even the names of pastel hues are just too cute, with delightful examples such as ‘delicate daisy’, ‘spring mist’ and ‘bunny’s nose’. Pastels are gentle, mellow and appropriate for smaller rooms – and not just children’s bedrooms. 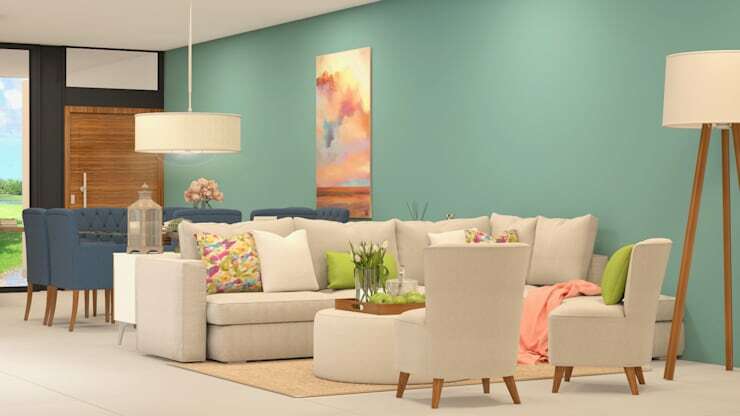 You can definitely be sure that pastel colours will never choke a space and can be painted on all walls of a room. 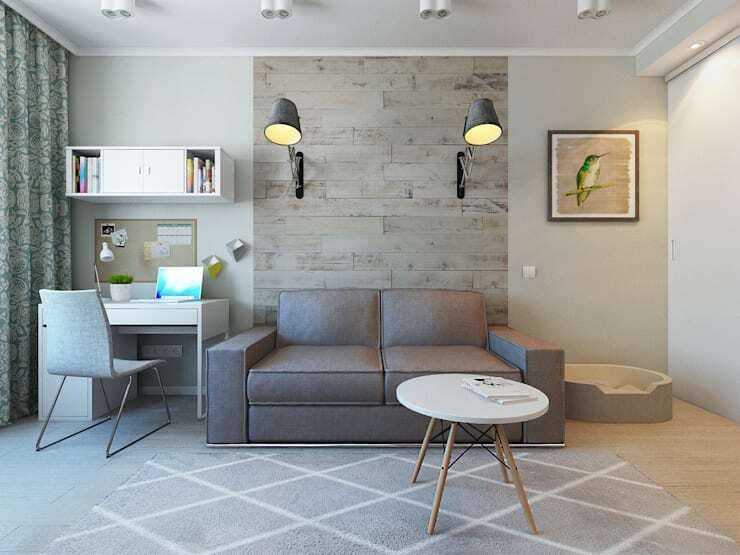 Let’s take a look at some Fantastic bedroom ideas your child will love. Which of these colours will you be trying out back home?